Spice: this is a Spice3f5 compatible netlist generated by the simulation engine of EasyEDA, Ngspice. It is not normally used as the basis for as a PCB layout. 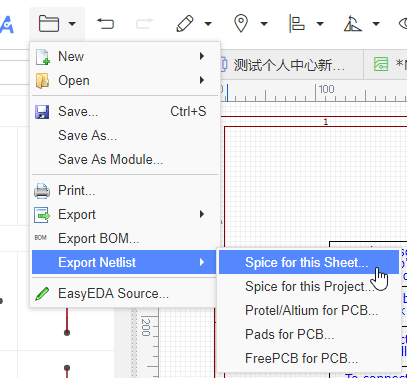 Altium Designer: a PCB netlist in a format that can be imported straight into Altium Designer and it’s predecessor, Protel. Pads: a PCB netlist in a format that can be imported straight into Pads PCB layout tools. FreePCB: a PCB netlist in a format that can be imported straight into FreePCB, a free, open source PCB editor for Windows.